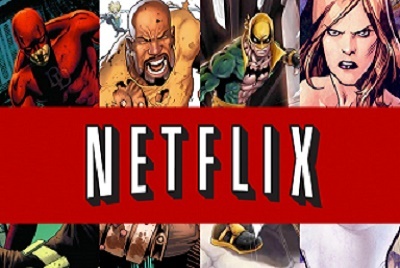 Four of the individual Marvel-Netflix TV stars are converging this season in The Defenders, Charlie Cox as Matt Murdock / Daredevil, Mike Colter as Luke Cage, Krysten Ritter as Jessica Jones and Finn Jones as Danny Rand / Iron Fist. The comic book version of the Defenders arrived in 1971’s Marvel Feature #1, created by Roy Thomas and Ross Andru, with multiple line-ups in the superhero team over the years. Roy Thomas also created the Iron Fist character. The cast list is burgeoning with many staples from the four individual shows officially confirmed. Rosario Dawson’s Night Nurse, Scott Glen as Stick, Elden Henson as Foggy Nelson, Deborah Ann Wohl as Karen Page, Carrie Ann Moss’s Jeryn Hogarth, Rachel Taylor as Trish Walker, Eka Darville as Malcolm, Simone Missick as Misty Knight. Sigourney Weaver is also officially confirmed to be appearing as a principal villain. Production began in October 2016 and the eight episode event is scheduled to be released in August 2017. Production staff Douglas Petrie and Marco Ramirez are acting as showrunners, a role they both previously did on Daredevil. We don’t know yet what event will inspire the 4 defenders to combine forces, but it must be a bigger threat than the heroes have been presented with so far in the Marvel/ Netflix universe. We do know that the four heroes must save New York from an unspecified impending threat. The premise of the new show appears to be the independent and solitary heroes dealing their own personal challenges, who realize they are stronger when teamed together. Stick (Scott Glenn), the one time Matt Murdock mentor, is descending on Hell’s Kitchen once again, just maybe suggesting ‘The Hand’ are the nefarious bad guys. Daredevil 2 left the action with the shadowy ninjas departing with Elektra, defeated temporarily in New York, but with the Hands regeneration abilities she may just be making a return. Elektra is not confirmed or attached at least according to the show’s producers at this present time. Whether or not she will appear later in the season or drop by in a cameo appearances we don’t know. The Punisher, who featured in season 2 of Daredevil, will return with his own brand of vigilante justice in his own solo show, scheduled to air late in 2017. Steven Lightfoot will serve as showrunner and write the first two episodes, he previously worked on the NBC show Hannibal. The Defenders will also be filming back to back with season 2 of Jessica Jones, which we can expect on our screens in 2018. Further updates on The Defenders will be forthcoming as we build to the release date on August 18th.